It may be a little bit surprising, but a couple of fine technologies and product designs that are common nowadays are based on the principle of biomimicry, which is often understood as an approach to novelties that helps find suitable solutions to problems humans face imitating natural strategies and patterns. However all the difficulties involved with developing connected systems in natural environment, which can advance and restore without any help, couldn’t be developed by man, so scientists were inspired by the source itself. 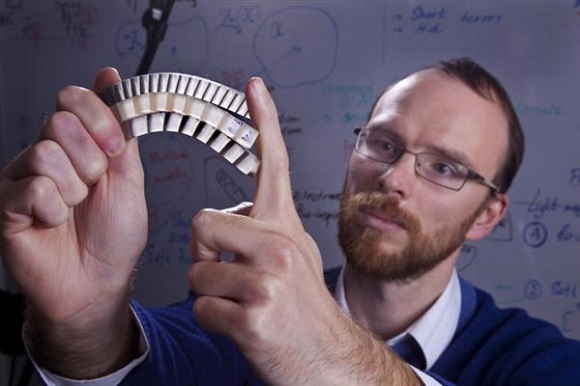 Among many people who were inspired by nature in creating new technologies are teams of scientists from the Massachusetts Institute of Technology (MIT) and the Technion-Israel Institute of Technology in Haifa, headed by mechanical engineer Stephan Rudykh. Working together the two teams managed to develop a new way to create the armor for soldiers to let them move freely. The advantage of the armor is that it doesn’t add much weight, but it still helps to prevent soldiers from being wounded. The peculiarity of the armor is that it was designed on the basis of fish scales. It is easily produced due to the advanced additive manufacturing. Rudykh explained that some fish species are flexible, but still it is their hard scales that protects them. 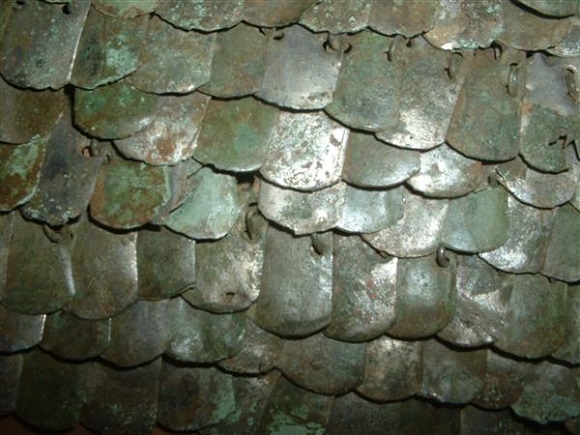 They attempted to replicate that protective flexibility and combined two layers of material – the soft one to make it flexible and another with the armor-like scales. The secret here is that they put the soft and flexible materials below the hard layer. 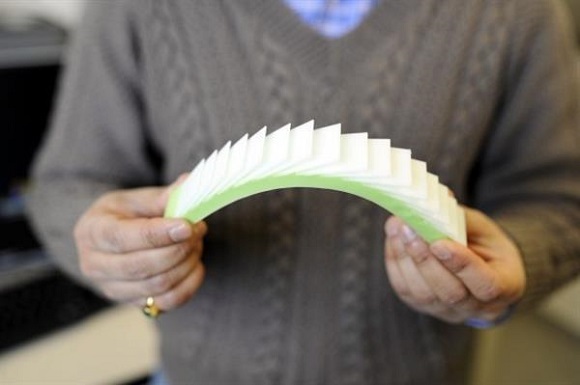 There have already been other efforts to develop 3D printed fish scale-like structures (by Ranajay Ghosh, an associate research scientist from the college of Engineering, Northeastern University). 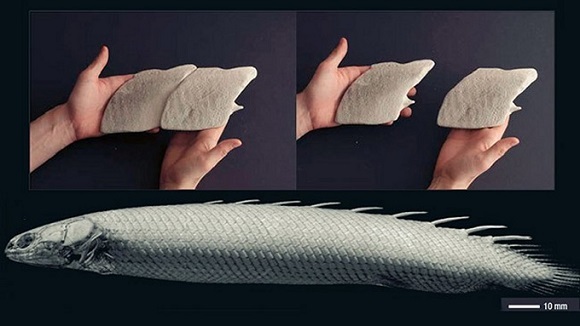 Ghosh and his team used an Objet Eden 333 3D printer to develop some specimen of 3D printings inspired by natural fish scales and they succeeded in it. They used ABS plastic to produce the specimen and then with VPS silicone they created the second soft layer. They discovered that such a structure did not restrict movements, it was flexed and at the same time helped to obstruct blunt blows. This time Rudykh and his team from MIT have gained financial support from Soldier Nanotechnologies (that is part of the US armed forces) for further development of fish scale-based armor and creating the products that can be useful in real life and not only for tests in laboratory environment. The armor can be customized to fit each person. Besides, the structure of the armor can be customized according to the needs of a particular soldier. For instance, one soldier has to cover only some part of his body and another one needs full-body coverage. In the case of the latter he just has to add some more coverage according to his need. Finally, such an armor suggests both a flexible and a modular setup. Some military historians may argue that such a scale-based armor is not a new idea. Various armies in both Asia and Europe used to wear such a kind of armor in various battles in different periods of history. But that armor was often made of some metal and was too heavy to wear. So taking into consideration current situations, in which military operations occur, they are not suitable. 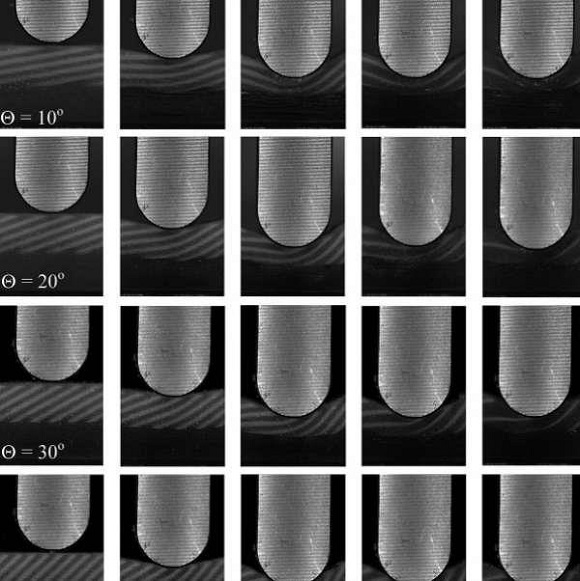 This work is a great breakthrough in material properties. As soon as the scientists know the material properties and can handle them, they will be able to use 3D printing to produce materials of a completely different type. Such materials will be able to adjust each wearer to suit his needs and the environment. But all that is still being tested. Finally there will come up with body armor innovations and such a kind of armor (and other ones) will be suitable for battlefields. As you see, everything comes back to the designs created by nature.